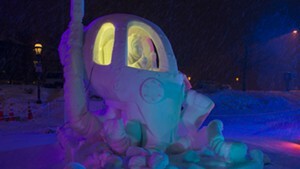 This Sunday, four of Vermont's finest snow sculptors will board a plane for Breckenridge, Colo., to compete in the 26th Budweiser International Snow Sculpture Championships. It's not the first time Team Vermont — which currently includes Michael Nedell, Adrian Tans, Brooke Monte and Dave Rothstein — has competed in the invitation-only event. Since Nedell first began sculpting snow in 1998, he and his team have represented their state at numerous national and international competitions, and placed first at the former in 2012. While they haven't placed in the top three at the international competition yet, this year they hope to take the gold with the help of a fictional 14-year-old named Rhonda. "I had seen a picture of a kid riding on an octopus like a cowboy," Nedell says with a laugh, "and it just kind of stuck in my head." Nedell was also enthused about the culture of innovation, creativity and entrepreneurial thought that saturates maker spaces like Burlington's Generator. He was inspired, too, by the story of Dutch teenager Boyan Slat, who designed an ocean trash-collection device to clean up the world's waters without harming sea creatures. 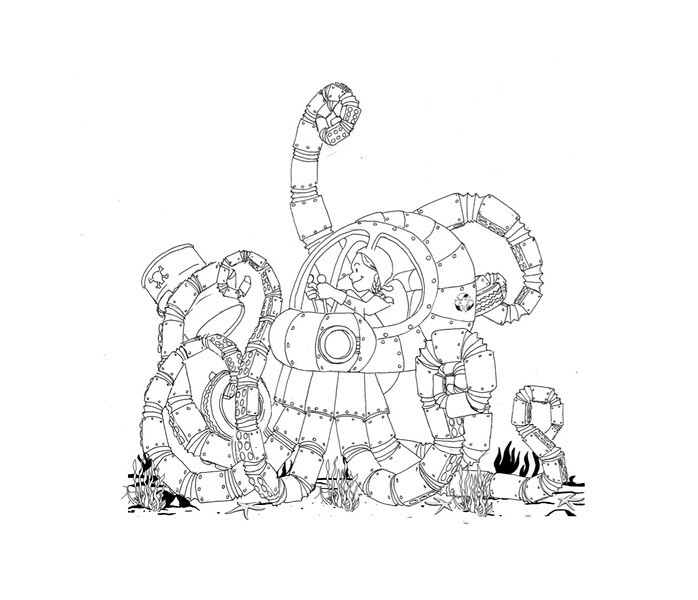 And so Nedell dreamed up "Rhonda and Her Recycling Robo-Octopus." Team Vermont's sketch, which won them entry into the international competition, includes a short description of the sculpture-to-be: Rhonda is a math and science whiz with a passion for recycling who is an active member of her local maker space. She "pays homage to American ingenuity and the growing maker movement," Nedell explains, "[and] these DIY spaces where people gather to create and learn and problem-solve together." 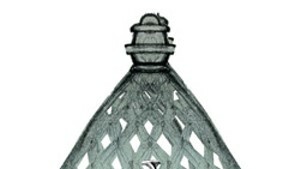 That description could also be applied to the process of carving snow sculpture. "It's mentally and physically exhausting," Nedell says. 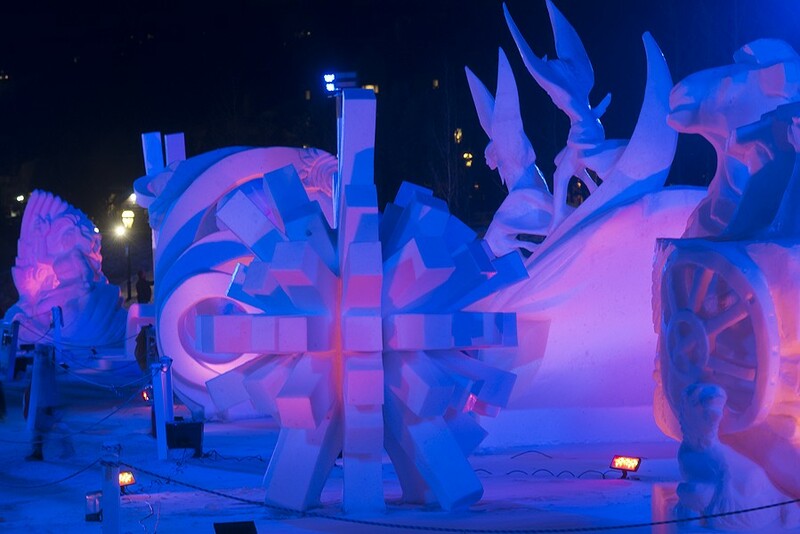 Each team has five days to turn a 12-foot, 22-ton block of densely packed snow into a frigid, ephemeral work of art without the aid of power tools, internal or external supports, or colorants. Nedell estimates that, in the process, the team members chisel, scrape and haul away 10 to 14 tons of snow. "It's a marathon of creativity and exertion," he says. "But Adrian, Brooke, Dave and I are all friends. We have a lot of fun, so, in a way, it's also like a fishing trip with the boys." Most of the competitors' expenses are paid out of pocket. However, this year Dealer.com made a generous donation to defray the team's travel expenses. Also, Darn Tough donates warm socks, and winter-wear retailer Kombi has provided gloves for several years. "We go through a lot of gloves," Nedell says. 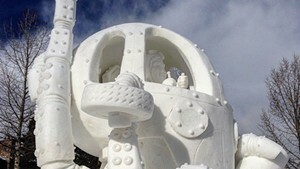 The Budweiser International Snow Sculpture Championships are January 26-30 in Breckenridge, Colo. Awards January 30. The works will be on view through February 7, unless they melt.